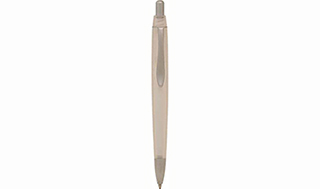 Attractive design frosted barrel pen with sweeping matt silver metal clip, push button & tip. Parker style refill. Black Ink.